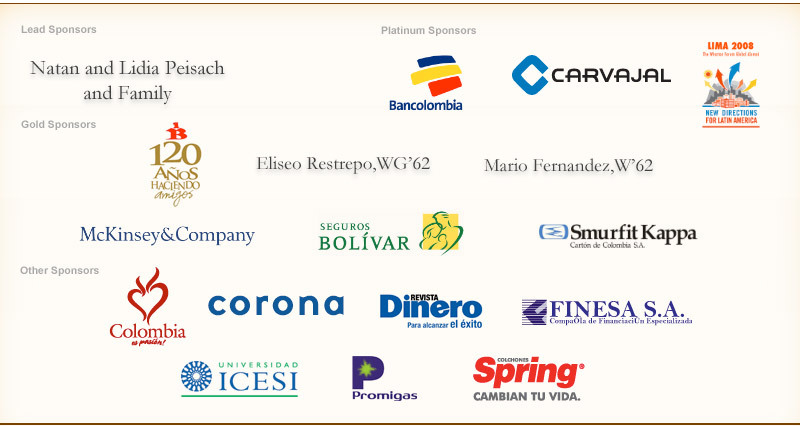 This is the official website of the Bogotá Forum, one of three such Forums that Wharton will hold in 2009 to celebrate and strengthen the global alumni community. All Wharton alumni worldwide are welcome and encouraged to attend any or all of the three Forums. 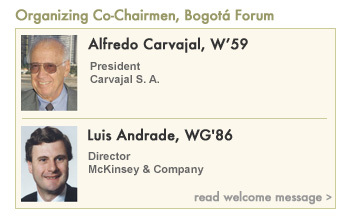 Through this website you can learn about the program, its content, and the Forum’s theme —“Latin America: Crossroads for Change.” Please remember that this is a dynamic website, and it will change often between now and the start of the Forum on May 21, 2009.